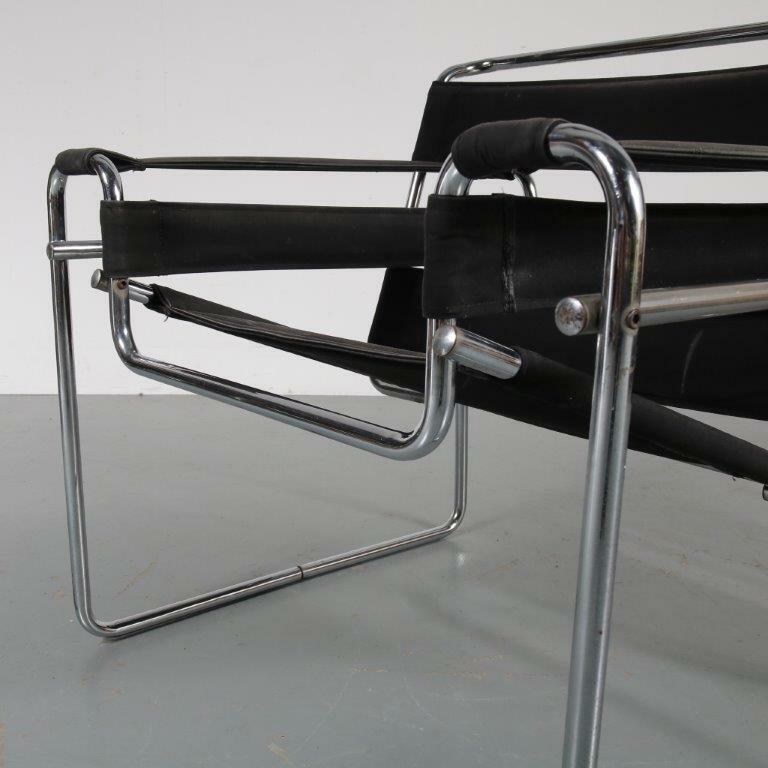 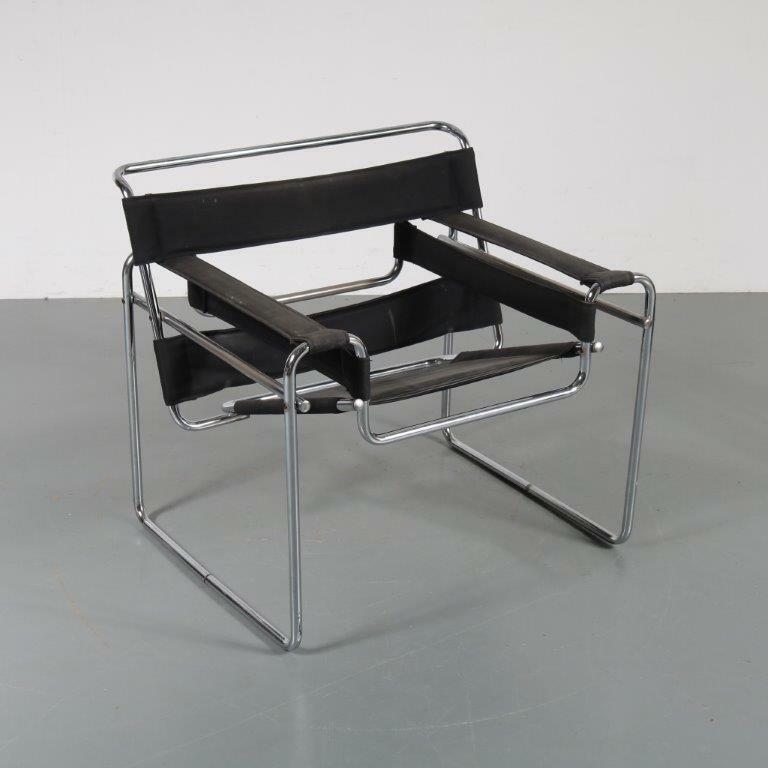 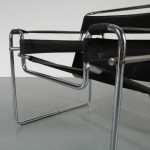 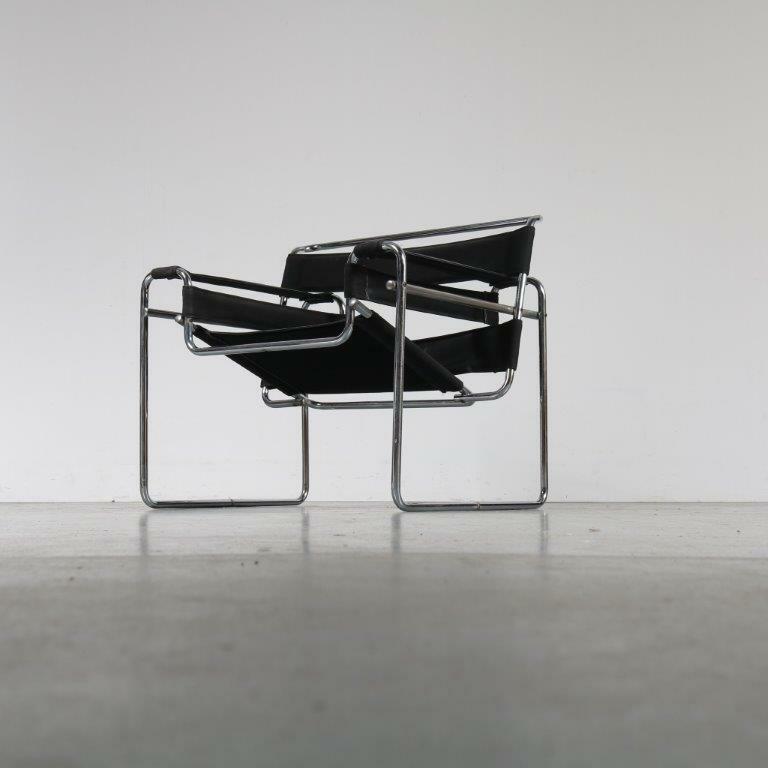 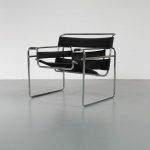 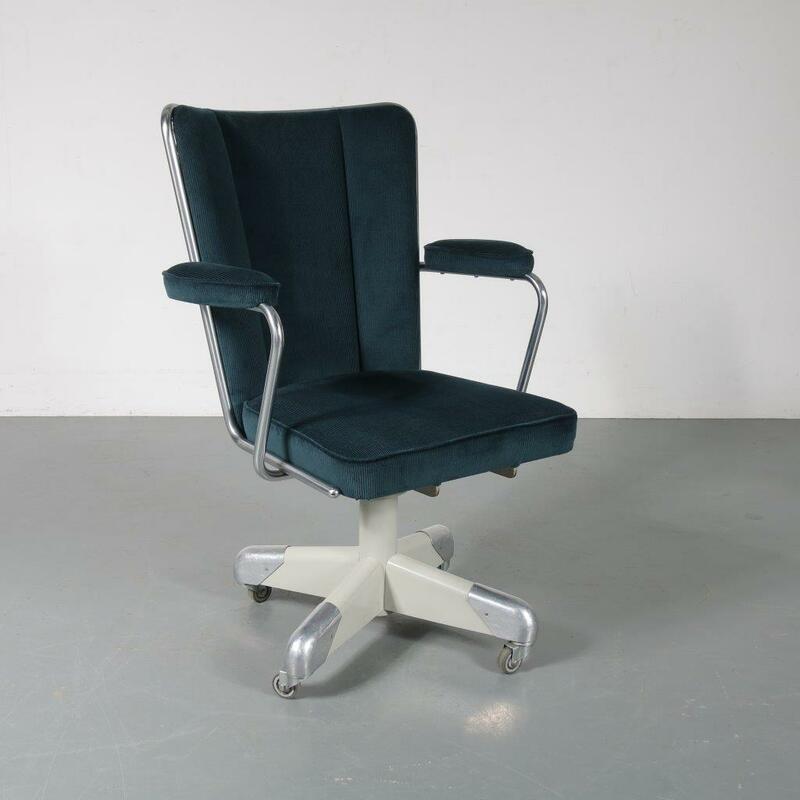 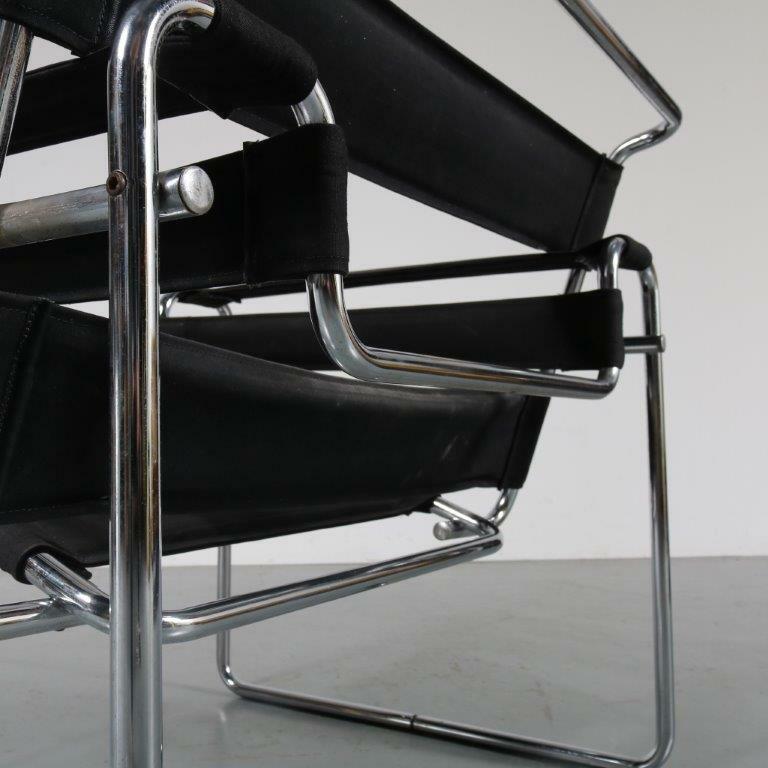 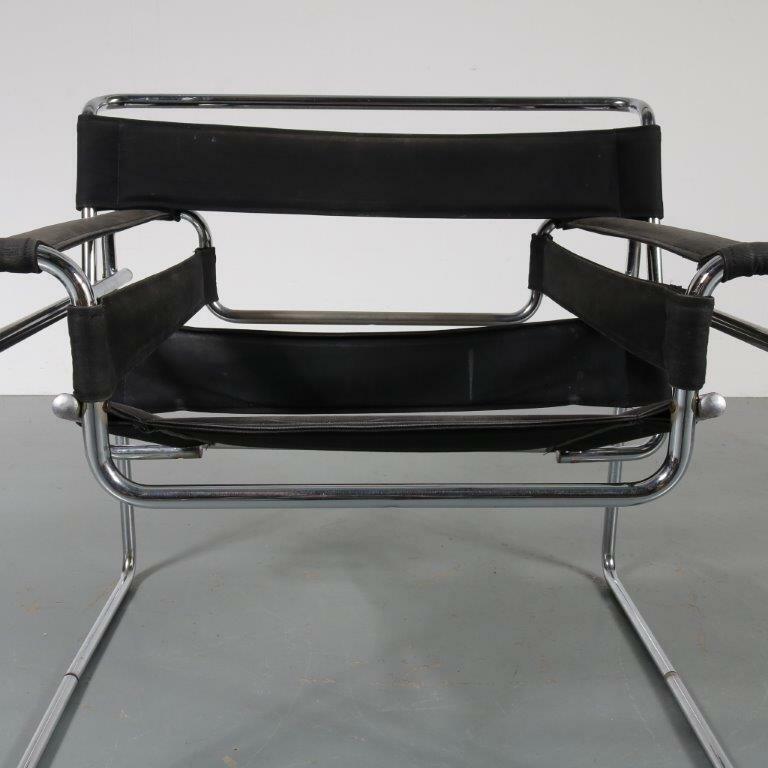 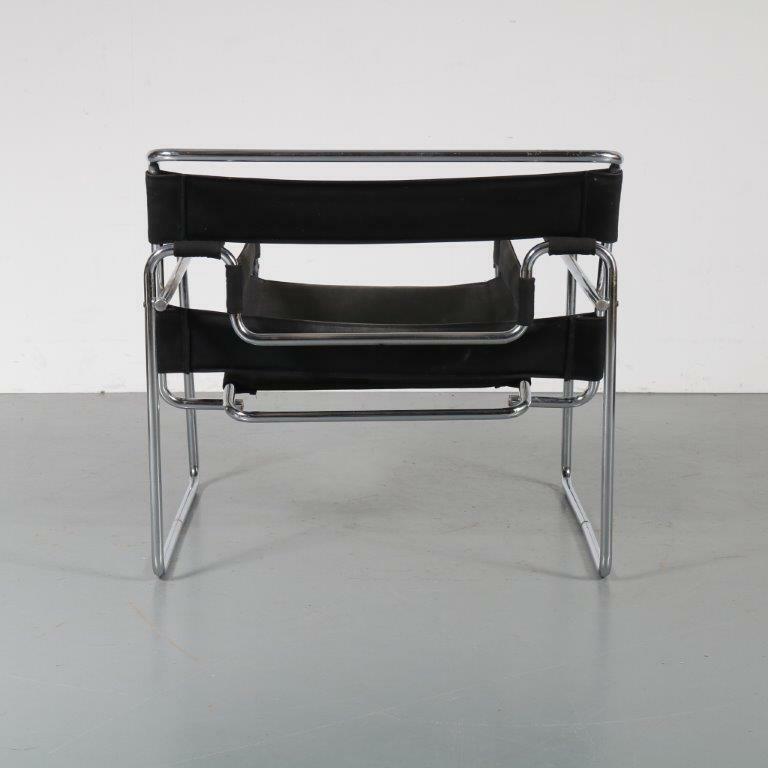 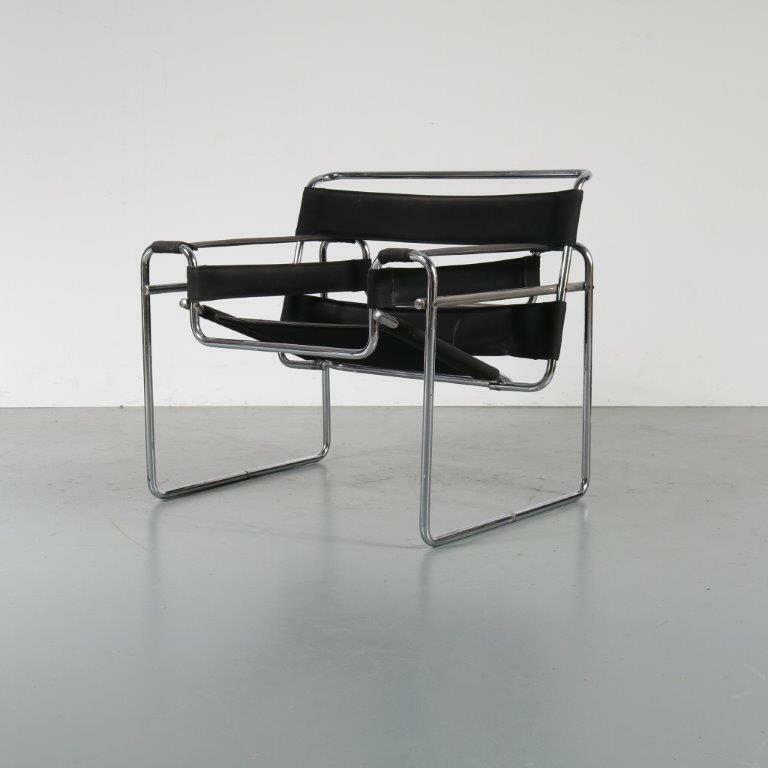 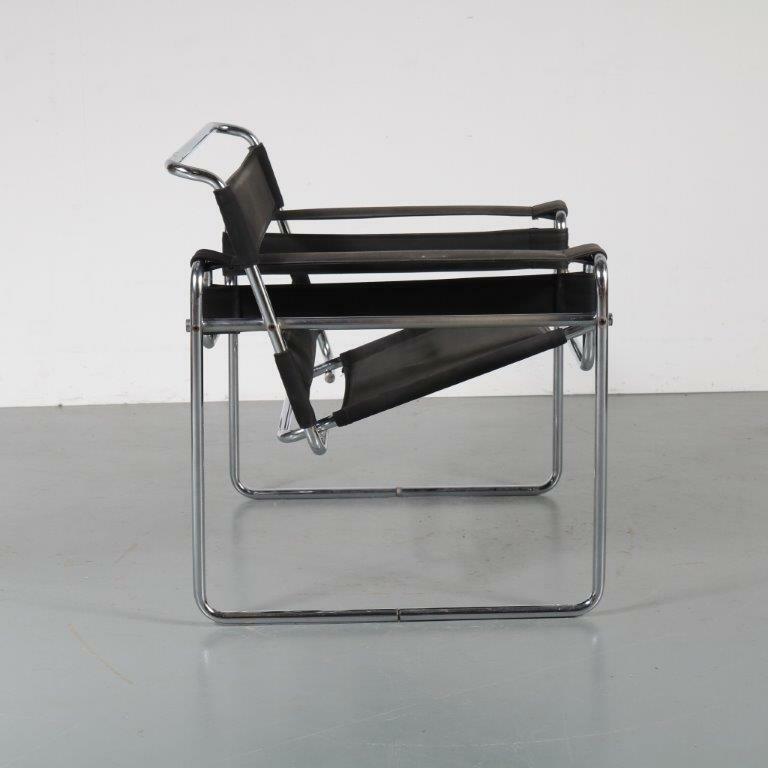 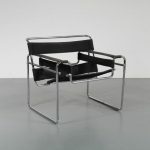 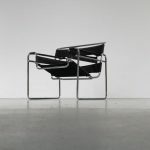 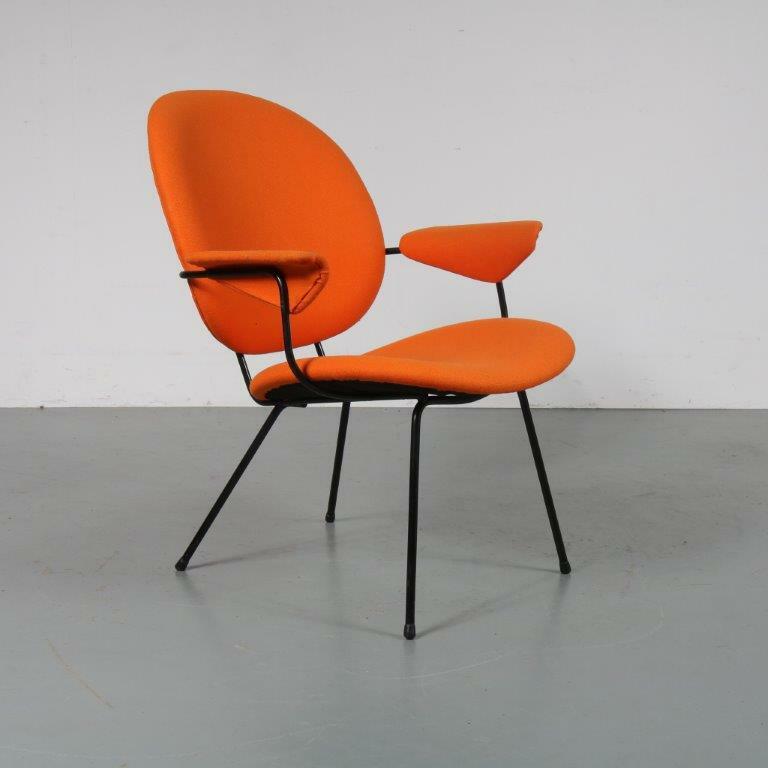 An iconic Wassily chair, designed by Marcel Breuer and manufactured by Gavina in Italy around 1960. 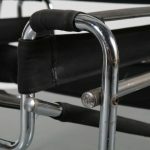 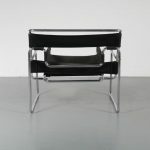 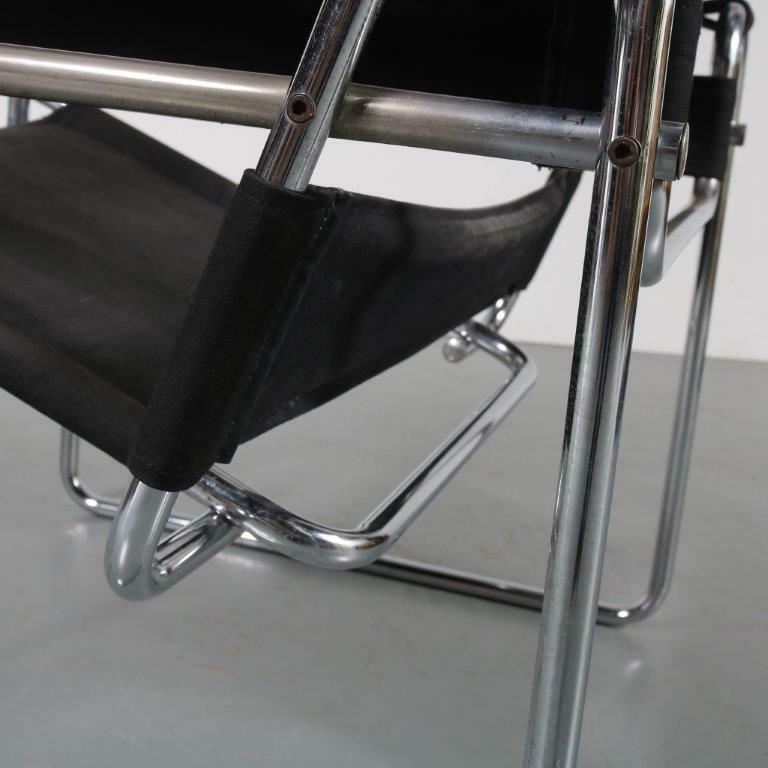 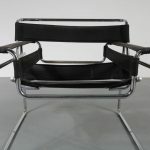 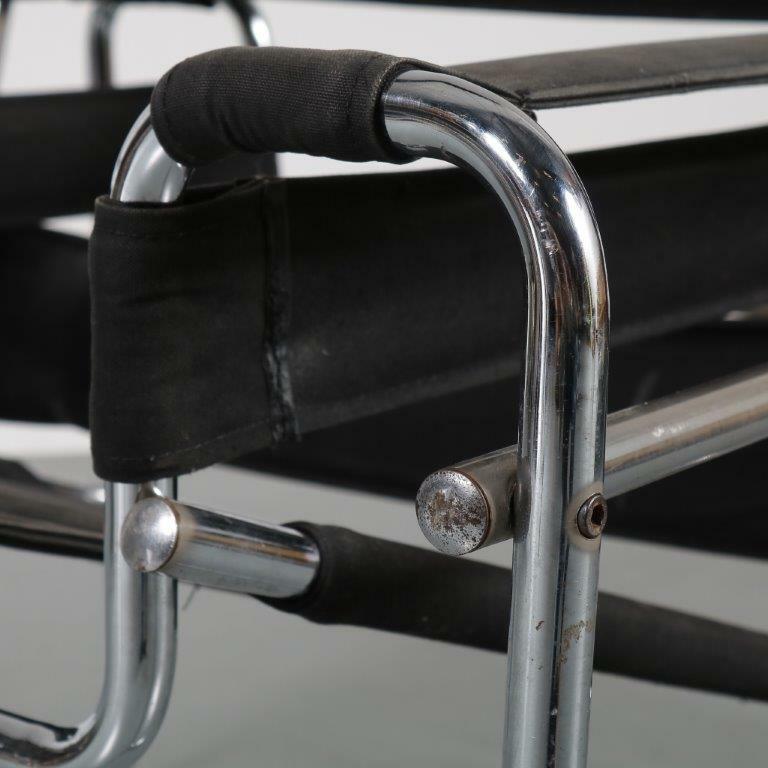 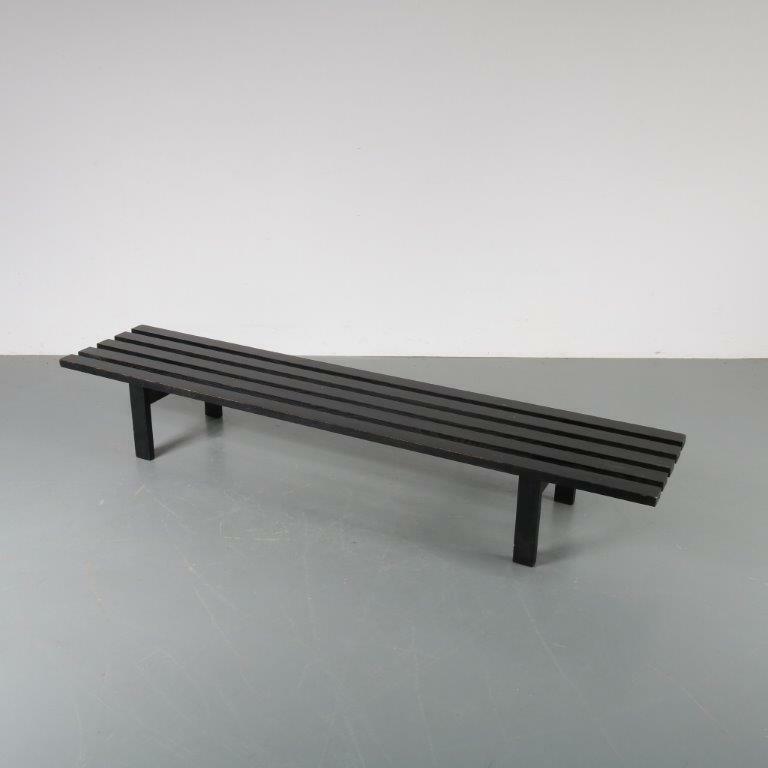 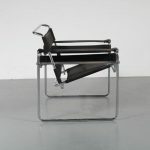 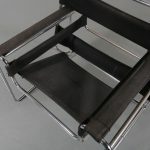 It is made of high quality chrome plated tubular metal with black canvas straps as upholstery, creating the highly recognizable design an da nice seating experience. 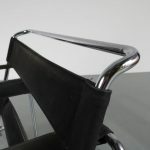 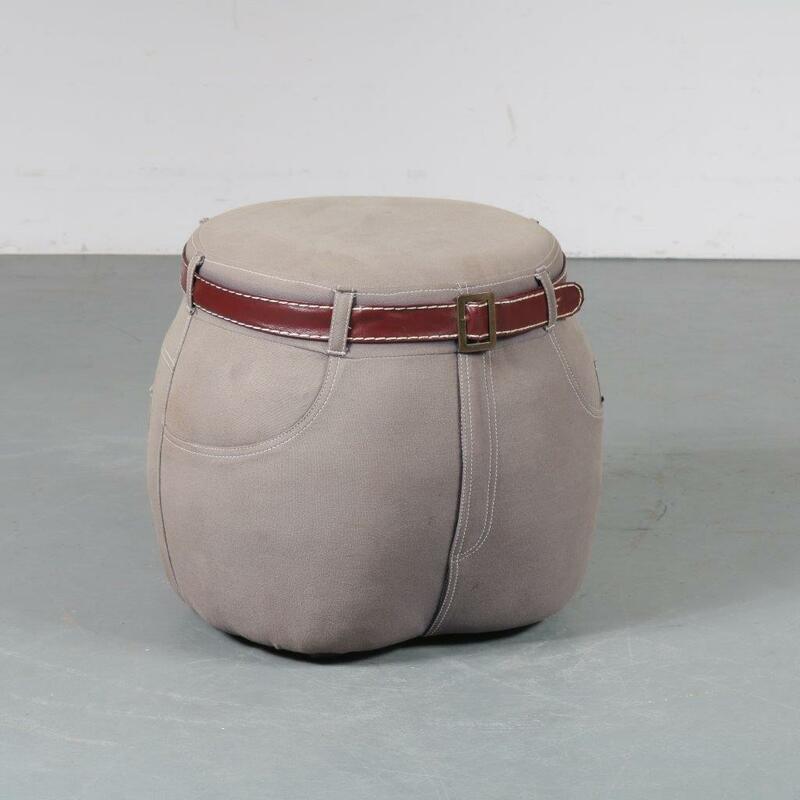 This very decorative piece will definitely draw the attention of any design enthousiast!